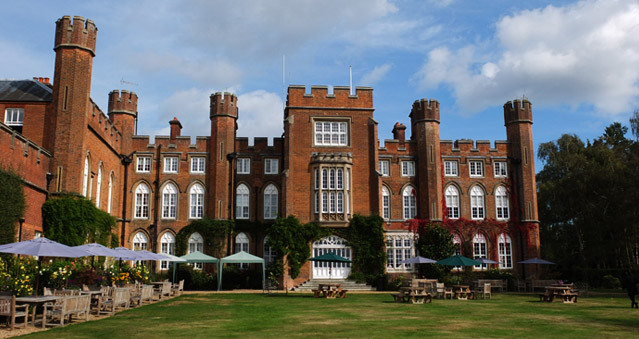 Cumberland Lodge is an educational charity tackling social divisions by promoting creative thinking and inclusive dialogue. The stunning facilities are available to hire throughout the year – a distinctive setting for teambuilding activities. This historic former royal residence, Cumberland Lodge, stands apart as a venue for professional development courses and teambuilding events. It combines the friendly, welcoming atmosphere of an English country house, steeped in history, with all the facilities expected of a modern conference centre. Hosting conferences and meetings is at the heart of what Cumberland Lodge does; it offers a range of flexible spaces spread across three historic buildings, including large conference rooms with linked breakout rooms, elegant reception rooms, private meeting spaces and an open-air woodland seminar space. In addition, Groom’s House offers an exclusive facility for small groups, ideal for meetings or away days. Location: 27 miles from central London, 20 minutes from Heathrow Airport, close to Gatwick Airport and 15 minutes from regular train services to London Waterloo, Paddington and Reading. 15 minutes from the M25, M4 and M3.